In planning a radar system, having the proper mathematical modeling of propagation effects, clutter, and target statistics is essential. Radar Systems Principles provides a strong theoretical basis for the myriad of formulas and rules of thumb required for analysis, conceptual design, and performance evaluation of radar systems. Mathematical derivations of formulas commonly used by radar engineers are presented, with detailed discussions of the assumptions behind these expressions and their ranges of validity. These principles are used in a wide range of radar applications. Radar Systems Principles makes it easy to understand the steps in calculating various formulas and when and how these formulas are used. A set of problems is provided for each chapter, enabling you to check your progress in applying the principles discussed in each section of the text. There are more than 170 figures illustrating key concepts. Numerous references to well-known books on radar for coverage of practical design issues and other specialized topics are given. Radar Systems Principles is an ideal textbook for advanced undergraduates and first-year graduate students and also makes an excellent vehicle for self-study by engineers wishing to enhance their understanding of radar principles and their implication in actual systems. Radar Systems Principles emphasizes the basic theoretical concepts required for analysis, conceptual design, and performance evaluation of radar systems. This book can be used as a textbook for senior/graduate level courses in radar systems and as a self-study reference work by engineers wishing to enhance their understanding of radar principles and their implications in actual systems. 2. 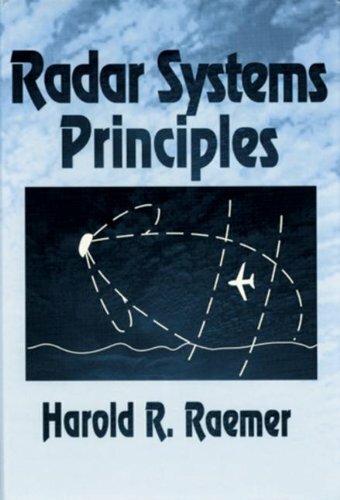 Radar Systems Principles [Hardcover] Raemer, Harold R.